Lovely article by Matt Dickinson the Times about the “obscene” sums of money in the Premier League. It is slightly curious, this looking to football for a moral lead, which the Premier League counters by citing the total tax contribution of £2.4 billion to the UK Exchequer in the 2013-14 season, including £891 million paid directly by players. Equivalent to the pay of 90 per cent of all constables in England and Wales, so it says. The vast sums paid to players and clubs is, as Dickinson suggests, “probably all part of the attraction”. And as for football taking the nation’s moral lead, well, I loathe the phrase “role model” when applied to a Premier League footballer whose not your dad or big brother. Lamentably after so much sense, the Times also wrote: “Who is a good role model for young footballers?” The answer is none. But The article invites people to tell the Times who their footballing role model is and isn’t. Wayne Rooney is an enormous talent but I’m not sure he has matured enough to be a “great role model”. No footballer signed up to a “role model”. Is the Prime Minister a role model? Are other public figures, like MPs, there to offer you moral guidance? Is Prince Harry Baseball Cap your life coach? Is your first thought when confronted with model dilemma to muse, “I wonder what Richard Branson would do?” If it is, seek help. Now. Eddie Howe will spend the next 12 months taking his own managerial audition. For the intelligent, erudite and affable Eddie Howe, who helped AFC Bournemouth blend Russian cash and talent to reach the Premier League, the season ahead is all about passing a test to be the next Arsenal boss. This is why he recruited Jack Wilshere, a player so vital to Arsenal they let him leave the club on loan. Arsenal will begin casting their eye around over the course of the season to make sure they have all bases covered should Wenger go next summer, and there are few better managerial prospects than Howe. ‘Should’ Wenger go? This is the John Cross who lent his name to the scoop: “Arsene sets the date”. He’s going on June 30 2017 – two months before Howe’s ‘audition’ ends. None of this balls is to say Howe will not be considered for an Arenal job should the opportunity arise. But it assumes he wants it and sees Wilshere as a route to achieving his goal. It assumes Howe sees no future for himself at Bournemouth. Arsenal haven’t been at “the top” for years. Wilshere has never won the Premie League title. Last season Arsenal were topped by Leicester City – and none of their top names fancied joining the Gunners. There is one price for a club and there is another price for a Premier League club. But it isn’t just the increase in transfer fees we’ve seen. You now have a massive wage escalation, too. Palace were in for Arsenal’s Jack Wilshere but, reportedly, baulked at paying all of his £90,000-a-week wages. They did, however, spend big, agreeing permanent deals for: Christian Benteke (Liverpool, £32m), Andros Townsend (Newcastle United, £13m), James Tomkins (West Ham United, £10m) and Steve Mandanda (Marseille £1.5m). Palace also took Loic Remy on loan from Chelsea, with an option to buy him for £10.3 million. Palace pay big fees and big wages. Johan Cabaye, reportedly, signed a £100,000-a-week deal on his move to Selhurst Park. With so much money flying around, it’s odd that Palace didn’t stump up for a rare talent like Wilshere, who would have thrived behind Remy, Benteke and Townsend. Answer: China or, like Bastian Schweinsteiger, who refused to leave Manchester United, nowhere. 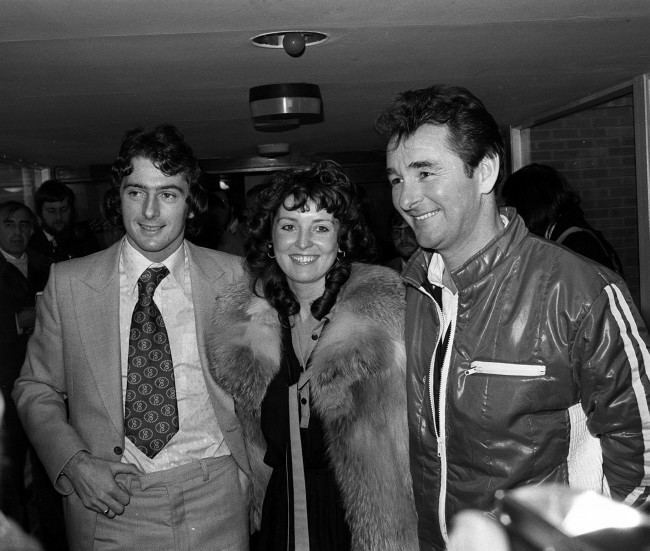 Former Birmingham City footballer Trevor Francis with his wife, Helen, and Nottingham Forest manager Brian Clough at the City Ground Nottingham after becoming Britain’s most expensive player. Most Premier League players will be earning £25,000-£30,000 per week. And that is just your entry level for a good solid pro, so if your top, top wage in the Championship — apart from the parachute clubs — is around £10,000, where do they go? There is no European market. That is the problem. Isn’t the problem with the clubs who offer these wages? We don’t get value for money, really. You have to buy assets that you can recycle. A club like us, you have to accept that you need to create assets and you have to reinvent, as Southampton have done brilliantly over the past three or four years. If you look around Europe, you will see Real Madrid, Barcelona, Juventus and Bayern Munich making big-money signings. But you won’t see that from the mid-table clubs and those involved in relegation battles because they don’t have the money and that is because the TV deals in those countries aren’t as big and aren’t shared equally. England has the most equal model about how they distribute that money. That means if you are a mid-ranking Premier League club you can compete with all but the biggest clubs in Europe, so it puts you in a pretty strong position. Precisely. The money goes up when a Premier League club calls because the PL has the most cash. But the team has to woo the player with wages. Do they have to be bigger? Why do they want more? Can we blame the clubs for fomenting the money game? He doesn’t mention any football team, including England and Arsenal. The dire Metro deduces that “this will be a shock to Gunners supporters”. It won’t. Wilshere says he will be at Bournemouth for one season only. After that, if he plays well, Wilshere will return to the Gunners, where with one year left on hid contract, he’ll be holding some great cards. Elsewhere, the Express brings news that “bookmakers already offering odds on Jack Wilshere getting injured.” Who would bet on a human being getting hurt? Bookmakers 888Sport “have priced him at 4/7 to go off injured on his Bournemouth debut”. Classy stuff, using a man’s pain as PR. Wilshere is on £90,000-a-week at Bournemouth. He’s no victim. He asked for the loan move. If he was good enough to start for the Arenal first XI, the idea that Wenger wouldn’t pick him out of spite is absurd. So Tottenham panicked and spent £30m on Moussa Sissoko from Newcastle, after matching Everton’s bid for the midfielder very late on deadline day. Newcastle had accepted Everton’s offer for the French player but could not agree personal terms. Spurs then snatched up the phone and signed the 27-year-old. Sissoko may not be an obvious Pochettino player, given the worries about his application and consistency. But he proved at Euro 2016 that he can rise to the occasion, and it may well be that in a better environment, with a better coach and team-mates, that he would deliver more often. Blame Newcastle, the manager and the team for not getting Sissoko to play better. Just don’t blame him. Is he worth £30m? No. It feels from the outside like Sissoko is a big part of the problems at United – head of a coterie of players who believe their own hype and are frequently guilty of playing like what they are: expensive mercenaries eyeing the next opportunity. The problem – perhaps even the tragedy – is that Sissoko is also a shirker, a mercurial talent who has spent most of his time on Tyneside hiding behind the failings of others, content to go through the motions, only switching off his cruise control setting against the glamorous English clubs. Why? It hints at a bad mentality, poor motivation and a player whose self-interest and questionable desire could be harmful to the collective rather than beneficial. Look out for Sissoko playing well against Manchester United, his beloved Arsenal and in the Champions’ League, which is his next shop window. Good news. Arsenal midfielder Jack Wilshere has agreed to join the mighty Bournemouth on loan for the rest of the season. He will play under Eddie Howe, the man many see as Arsene Wenger’s replacement. The Cherries have gained a top talent. Arsenal see their protege playing regular Premier League football. England watch their most talented midfielder find his form. And perhaps the best news of all: injury-prone Jack Wilshere passed his medical! Since turning heads across Europe with a wonderful breakthrough season as a teenager in 2010-11, Wilshere has started only 49 Premier League matches in five years. Injuries have blighted his career but so too, increasingly, has competition for places at Arsenal. Wenger wants a fit Wilshere competing for selection but, with Granit Xhaka added to a wealth of midfield options, he no longer feels able to give him time to build up his rhythm and confidence. Wilshere knows that a loan move is now his best hope of getting his career back on track. Arsène Wenger is by a distance the longest-serving manager in the Premier League and a byword for stability and consistency. He still has his vision for the future but as things stand Wilshere is no longer part of it. While there is plenty of support and understanding for the player within the club, patience appears to have run out. Paying £90,000-a-week to a player who rarely performs is too expensive. If he plays well at AFC Bournemouth – and Arsenal get their usual rash of injuries – we should expect Jack the lad to be back at the Emirates. Transfer balls: Moussa Sissoko is on his way to Spurs from Newcastle. He’s been allowed to leave the France training camp at Clairefontaine to seek a new club. The paper adds that Chelsea are also talking with Sissoko. As for Newcastle, for whom Sissoko still plays, the fans are unimpressed. People are saying Daniel Levy’s a genius for bidding £16m for Sissoko. He’s not. It’s the prices that are insane. Never mind. There’s always China. Arsenal will allow Jack Wilshere to join Crystal Palace, says the BBC. But the Daily Mirror says Palace are just one of 22 clubs who have expressed an interest in taking Wilshere on loan. It would be more but Arsenal will not countenance Wilshere moving to a direct rival for Arsenal’s Champions’ League place. The Mirror says Everton are top of the list to get Wilshere. The paper’s list runs: Everton, Juventus, Espanyol, Roma, Valencia and Celtic. The Sun says AC Milan want Wilshere and will add factor in a £30m option to buy the player at the season’s end. “ARRIVEDERCI,” says the paper, “Jack Wilshere poised for AC Milan.” Confusingly, the Sun also says Palace are top of the pile to get Jack. The Times agrees. It adds that Roma and Watford are keen on the England player. The Guardian says Palace won’t pay all of Wilshere’s Arsenal wages (£90,000-a-week). Bournemouth will. Also, under Eddie Howe, Wilshere will be allowed to use his skill in keeping the ball on the floor. Many have tipped Howe to be the next Arsenal manager. What will he learn at Palace? Sky says Wilshere will choose between Crystal Palace and Bournemouth, adding that the Arsenal midfielder and his representatives met Palace boss Alan Pardew on Tuesday afternoon and Cherries manager Eddie Howe in the evening. The south coast or south London? Do the Press build them up to knock them down? The Sun writes about Manchester United’s Marcus Rashford who “proves he’s a top guy after buying his mum £800,000 home”. Buying your mum a big house is lovely. 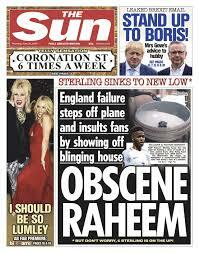 But he’d better not get too rich or fail to score for England. Enjoy it while it lasts, Marcus, you hero. So, goodbye Jack Wilshere. Arsenal are happy for their midfielder to leave the club on loan. Of course, were a club to offer a loads of money for the England player, then Arsenal would sell him. In an inflated transfer market, what is Jack Wilshere worth – £40m? £50m? £60m? Although the Telegraph says “Wenger has no intention of selling Wilshere”. The injury-jinxed midfielder, 24, is yet to start a game for the Gunners this season and has been axed from the England squad… Wilshere was hoping to win a new contract at the club. But talks were shelved following another season spent on the sidelines through injury. Is that demand to leave from Wilshere part of a play to secure that new deal? His current contract that earns him £90,000-a-week has two years left to run. We all know how well that tournament went for Wilshere, who was poor. Arsenal have reportedly shelved plans to hand Jack Wilshere a new contract after he was caught up in a nightclub fracas in the early hours of Sunday morning. The 24-year-old, who is yet to play this season after breaking his leg last August, was thrown out of London hotspot Cafe de Paris at 3am before being questioned by police. He vehemently denies claims he threw a punch during the incident. Arsene Wenger is running out of patience with the £80,000-a-week midfielder, and the Sun claim he has instructed the club to put renewal talks on hold. Wilshere’s current deal will expire in the summer of 2018. Of course, Wilshere could stay at Arsenal and fight for his place in the side. But in the pecking order, he’s behind the hugely promising Granit Xhaka, Santi Cazorla, Francis Coquelin, Mohamed Elneny and Aaron Ramsey. So what next for Jack, the 2011 PFA young player of the year and the one Arsenal player who identifies with the club, signing off his tweets “Gooner” and goading rivals Spurs? Surely Arsenal will aim to keep the 24-year-old, whose best years lie ahead of him? 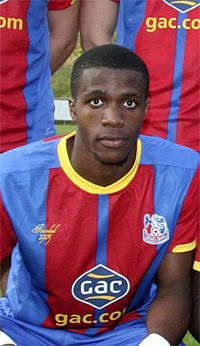 The BBC says Crystal Palace have rejected an £18m bid from Tottenham for Wilfried Zaha, 23. Palace want £25m. Palace chairman Steve Parish says the offer is “ridiculous”. Over in the Telegraph readers get “The curious case of Wilfried Zaha and a very weird transfer window”. We learn that Spurs manger “Mauricio Pochettino considers Zaha to have the potential of a Cristiano Ronaldo”. It should be said that his Spurs chairman, Daniel Levy, wants to pay a Ronaldo-sized fee – although the fee in question is not the record-breaking £80 million Real Madrid paid in 2009. Rather it was the £12.25 million Manchester United paid Sporting Lisbon for the 18-year-old Ronaldo in 2003. Was it just Levy doing what Levy does so well? That being, antagonising the competition with derisory bids for their best players while simultaneously demanding top dollar for Spurs’ own collection of waifs and strays? The early signs would suggest so. So Levy wants a “bargain”. Don’t all clubs want that? Well, not Manchester United, obviously, who paid well over the odds for Paul Pogba. Wallace says if Levy were “serious” he’d start the bidding at £30m. Maybe it’s all just a way for Zaha to get a fat raise? Certainly Zaha, on around £40,000-a-week already, will get a new contract out of this wrangle, despite having four years left on his existing deal, which he signed last year when his move back from Manchester United was made permanent. Palace are one of many clubs who are now paying new signings such as Andros Townsend the kind of wages that they have never paid before, and if one talented, erratic winger can earn big money, then it is only a matter of time before the other talented, erratic winger wants the same. Fair point. When Jamie Vardy’s agent offered his client to Arsenal, the Leicester City striker ended up getting a pay rise to stay at Leicester. Andros Townsend’s wages at Palace are close to £80,000 a week. Are Palace getting Zaha on the cheap? In September 2015, Bolasie signed a new deal at Palace that saw his wages double from around £20,000 a week to £40,000. 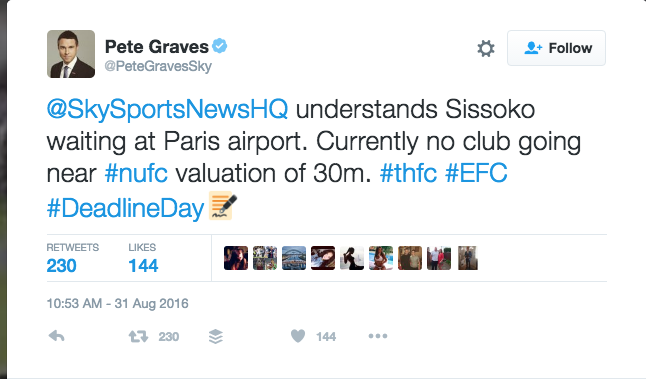 At Everton he earns around £80,000-a-week, and very probably secured a percent of the signing-on fee. Pardew can’t guarantee that Zaha will get better, but Palace can guarantee one of their best players more money in an inflated market. Transfer balls: No sooner have Arsenal splashed a huge amount of cash on Shkodran Mustafi (£35m) and Lucas Perez (£17m), than Sky Sports says they are in for the excellent French striker Antoine Griezmann and Greek defender Kostas Manolas. Sky says Atletico Madrid’s Griezmann rejected a move to Arsenal earlier this summer, but Wenger is still keen on the pint-sized scorer, whose six goals won him the Golden Boot at Euro 2016. The Indy says Wenger was informed that Griezmann “was settled in Spain and would not consider a move to England”. Not even for – get this – £80m, which one site says Arsenal were happy to bid. The Sun adds that Arsenal “also made a move for Bayern Munich ace Robert Lewandowski, but could not match his huge wage demands.” Well, quite. Arsenal can make a move for lots of players, but if they can’t afford the wages, any approach is at best hopeful. Instead of the superb Pole, Arsenal are “in the race to sign Nottingham Forest sensation Oliver Burke”, according to the Sun on Sunday. The only other team in the ‘race’, says the Sun, is Manchester United. Which is odd because Burke has just joined Bundesliga newcomers RB Leipzig. Manchester United’s Luke Shaw has been talking with the Guardian. His return from a badly broken leg has been arduous – a double break caused by a tackle when United played PSV Eindhoven on September 15 2015. Is he angry with the tackler, PSV’s Héctor Moreno? “I partly blame myself. I’d run into their penalty area and I should have shot with my right foot but I wanted to come inside. I wanted to be on my left foot. And then, obviously, the tackle. I don’t even want to think about the tackle, to be honest. At the time I thought: ‘Give him the benefit of the doubt, it wasn’t actually a bad tackle.’ But the more I’ve seen it since, the more I think: ‘You know, that was actually a really bad challenge.’.. The memory has not faded. Immediately after the tackle, Shaw felt little or no pain. Such an horrendous injury affects the mind. Arsenal have hired Lucas Perez. 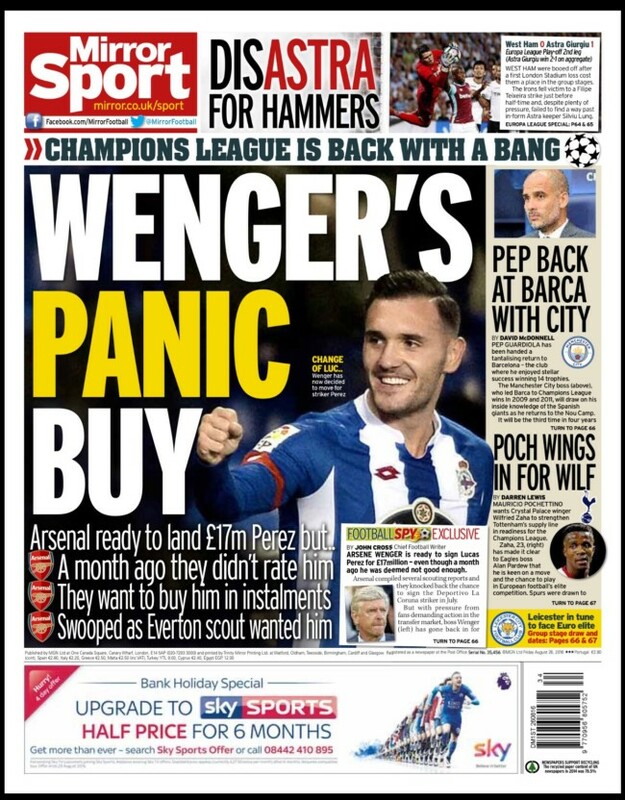 The Mirror says it is a “PANIC BUY”, which is odd because Arsenal are usually criticised for being over cautious in the transfer market. The paper goes on to say that Arsenal “compiled several scouting reports on the Deportivo La Coruna striker”. So not a panic buy, then, but something they considered at length. The Mirror adds: “Arsenal’s first offer was rejected by Deportivo on Thursday after they tried to pay the modest fee in two instalments.” Paying a “modest fee” does not suggest panic, either. It suggests the Gunners have done a good deal for the player the Mirror has called a “star striker”, hailing him as “a relative bargain for a man who scored or assisted 25 goals in La Liga last season”. In yet another Mirror story on Perez, the paper show him “scoring a nuclear thunder volley” and says he is a “shrewd buy”. Today’s headline is utter balls. Arsenal can have Valencia’s German defender Shkodran Mustafi for £26m. so says Sky Sports, who describe Mustafi as the ” wantaway defender”. The Star says the deal has been agreed. No news elsewhere that is has been. The Telegraph says it hasn’t, noting that Arsenal are keen on Mateo Musacchio and Kostas Manolas. “It is unclear whether the third target…is still Valencia’s Shkodran Mustafi or another player,” says the paper. The BBC has news of another Arsenal target, reporting that the Gunners “are hoping to beat Everton to the £17m signing of Deportivo La Coruna striker Lucas Perez Martinez”. The Telegraph says Perez “has been compared to Leicester forward Jamie Vardy”, who rejected a move to Arsenal in the summer. The Telegraph says “Arsenal have reportedly gazumped Everton in the race for his signature”. The Mail says “Arsenal beat Everton to signing Lucas Perez after agreeing £16.9m fee”. 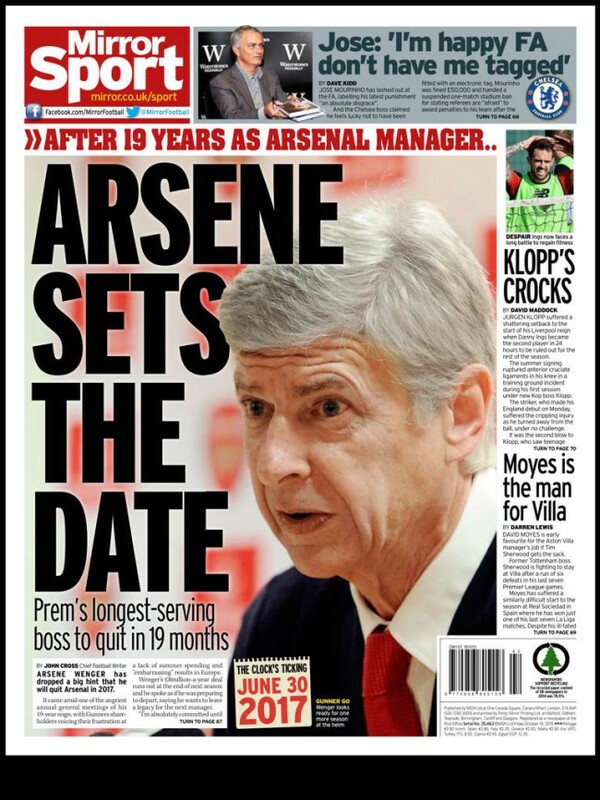 The Express says “Arsenal to announce £17m La Liga striker signing tomorrow”. The Daily Mirror has news: “Shkodran Mustafi will cost a staggering £50million as Valencia play hard-ball over German defender.” The Mirror hasn’t the foggiest what Mustafi is worth. Arsenal are clearly in the market for a central defender. The Star says they are are letting one already on the books go: “ARSENAL have reportedly told Calum Chambers he can leave the club on loan.” The Star adds that Chambers could be leving permanenetly. The Daily Mail says any move will be a loan. Arsenal want to keep the player they signed for £17m. It’s not new news because in June the Mail said “Chambers is closing in on a deal to spend next season at Watford”. The Star says he’s off to West Brom. The Telegraph says it’s Crystal Palace, Bournemouth and Swansea. In short: they don’t know. Transfer balls: Spurs are after Newcastle United’s Moussa Sissoko, or at least they fancy the version of the Magpies’ midfielder who played well for France at Euro 2016. The BBC says “Tottenham may offer midfielder Nabil Bentaleb, 21” as part of any deal. Or they may not. Bentaleb ‘may’ have read the news on ESPN that he “will not be sold by Tottenham this summer”. Things are far from certain. Have Spurs seen enough of Bentaleb, of whom the Mirror reported in 2014, “Tottenham’s Nabil Bentaleb: I’m getting my revenge on the clubs that snubbed me”? He’s now playing for the Tottenham Under 21s. Revenge is a dish best served cold. In “ARSENE WONGA”, the Mirror says Arsenal’s manger Arsene Wenger (geddit?!) “finally admits he treats the club’s money as if it was my own”. No, he’s not admitting to embezzlement. Wenger just says he’s cautions with spending tons of cash on players. 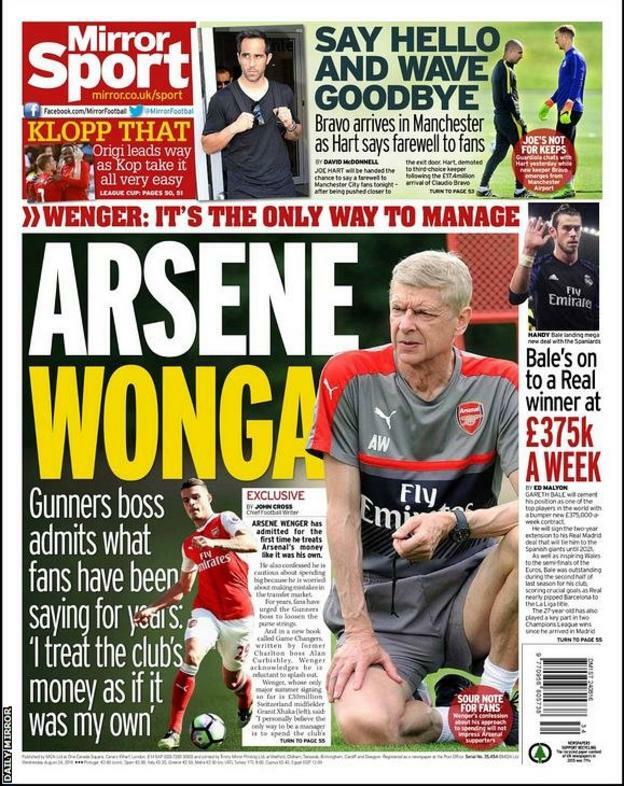 Of course, Wenger should spend, spend, spend because the Mirror has already told us this will be his last season at Arsenal. He has often been accused by his club’s frustrated fans of treating Arsenal’s money as if it is his own…. Now, for the first time, Arsene Wenger has unashamedly pleaded guilty to the charge and given a rare insight into the hurt he feels when his work is questioned at the Emirates Stadium. As ever, Wenger was not talking with the Mirror, but with a magazine in France. When he ‘admits’ it to the Mirror, that might be the end of the story. Transfer balls: With the business over Paul Pogba to Manchester United sorted to great relief at the Daily Mirror – the paper said Pogba had signed for United three weeks before he did – we look at Arsenal’s pursuit of Valencia’s German defender Shkodran Mustafi. Valencia are willing to sell a player worth €50million for €25million. That’s just over £21m. Sorry, Arsenal. The fee’s gone up. Arsenal no longer want Mustafi. It’s Mathieu for the Gunners. Wasn’t it £25m they wanted? Go for it, Liverpool. Arsenal don’t want him. Patrick Vieira, the former Arsenal captain now working for the Manchester City project, is critical of the Gunners. He tells The Telegraph. Yes. Yes. All true. But what Vieira fails to mention is money. Manchester City, for instance, are doing rather better than they were when Vieira’s Arsenal were top of the pile. 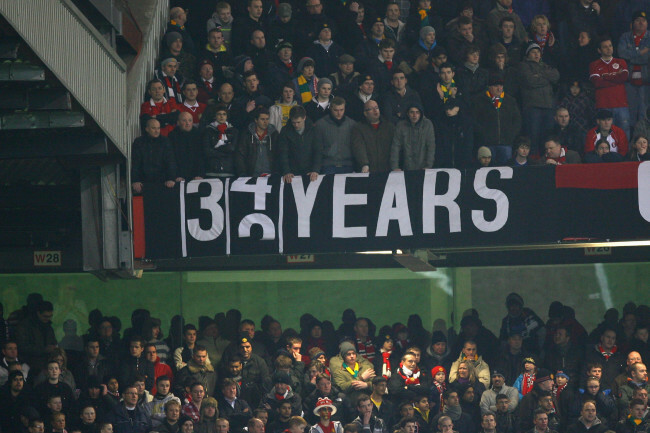 Back then the idea of City winning a cup was a joke, a pretty good one for those who can recall the brilliant banner displayed at Manchester United – the one that counted the years since City had won something. Well, Henry was at Arsenal but left because, reportedly, Wenger wasn’t happy with him pontificating on Arsenal players’ flaws in his other job for Sky Sports. Freddie Ljungberg coaches the U15s. Keown did coach at Arsenal but now works as pundit on the BBC. The Sun says “Freddie Ljungberg and Steve Bould are the only former players on their staff.” No. The current Arsenal set-up also includes Kwame Ampadu. Media Watch: a look at monocular football reporting. In today’s match we look at biased views on Arsenal’s away draw at Leicester City. The game ended o-0. Leicester City…can feel aggrieved they weren’t awarded a late penalty. Hector Bellerin appeared to trip substitute Ahmed Musa inside the penalty area but referee Mark Clattenburg, who had earlier waved away City’s appeals for a penalty after Danny Drinkwater went down in the area, again said no. Should it have been a penalty, or two? There was drama on 42 minutes after Drinkwater appeared to have been tripped by Koscielny as he burst into the box following Cech blocking a Vardy burst, but referee Mark Clattenburg decided it was a fair challenge – much to the displeasure of the vociferous home fans and their execrable paper clappers that seem to be needlessly encroaching on our game. It has to be said the referee made the right decision – just. Only one penalty claim is mentioned. Drinkwater claimed a penalty, but replays suggested Mark Clattenburg made the right call. No mention is made of the second penalty claim. The loose ball fell to Danny Drinkwater, and while the midfielder appeared to be tripped by Laurent Koscielny in the area, there was nothing given. A draw is probably the right result overall, though Leicester should certainly have had a penalty in the 88th minute. Leicester City had two penalty appeals turned down – one in the first half, which he [the referee] got right by ruling that Koscielny poked the ball away from the feet of Drinkwater. But in the second half he got it horribly wrong. Substitute Musa skipped past Bellerin and the Spanish defender brought the winger down with a clumsy challenge. Shame referee Mark Clattenburg got booed off by home fans. He’d hardly put a foot wrong but has to be said his decision to turn down penalty appeals when Musa was clipped by Holding near the end, looked dubious.